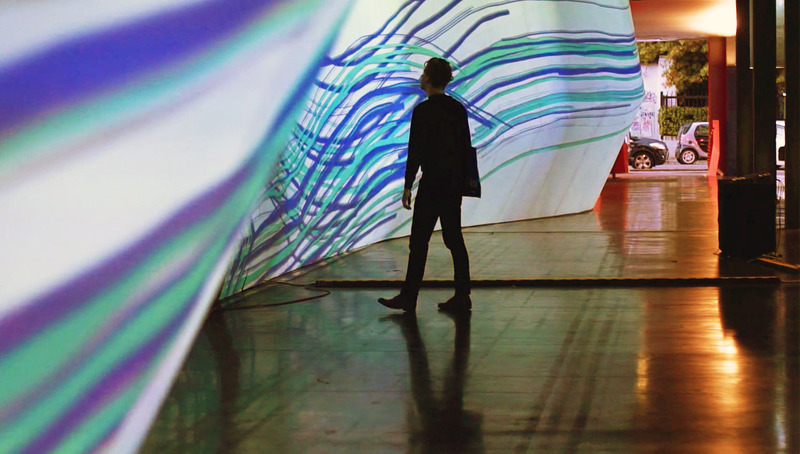 WAVE is an interactive installation for Digital Design Days – OFFF 2016 in Milan. 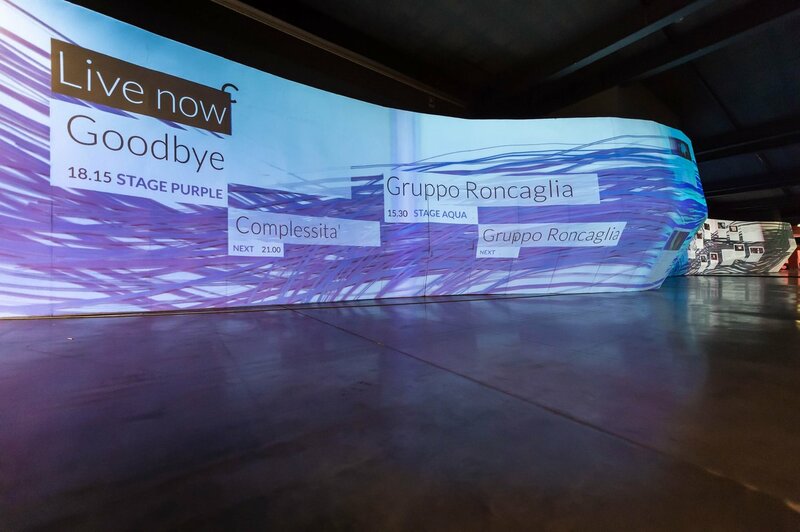 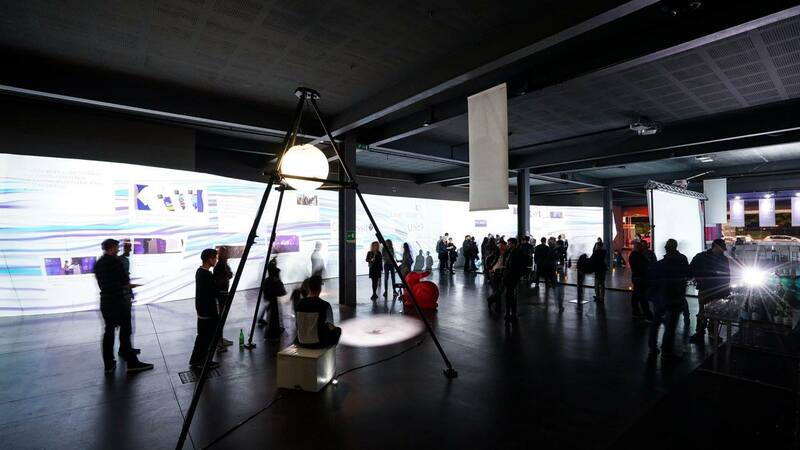 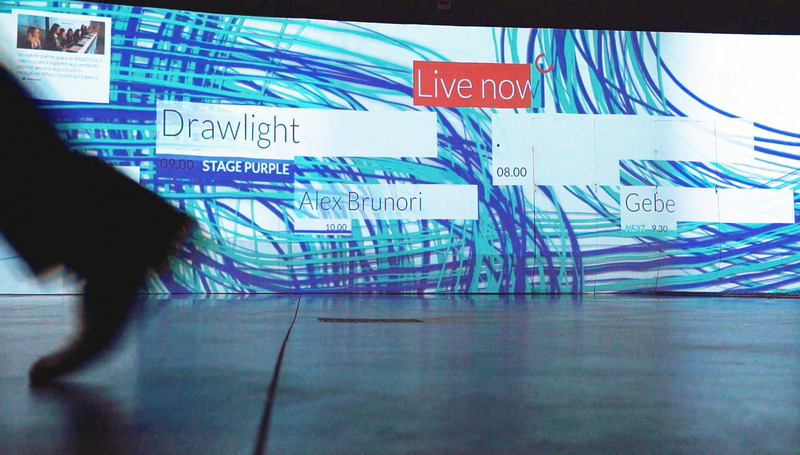 We collaborated with Filippo Spiezia to create a living and responsive environment piece for the festival’s audience. 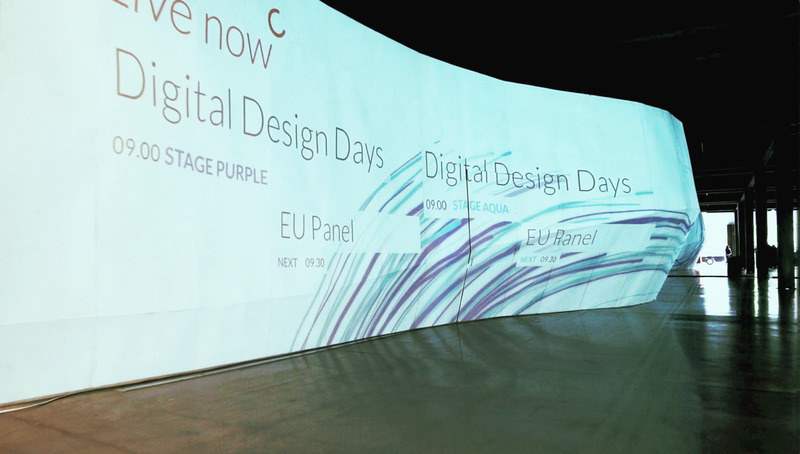 The projection mapped curved wall was the hub of the festival, showcasing the speakers, live tweets from audience, and the upcoming events.